John Venn was a renowned British mathematician and logician of the 19th century. He is most well remembered for the standardization and widespread use of “Venn diagrams” in the study of probability and statistics, logic and computer science. Venn was born in 1834 in Yorkshire, England to an Anglican family. His mother passed away when he was just three years old. His father Henry Venn and grandfather John Venn were both Anglican priests and had played an important role in the Evangelical Christian movement. Young Venn followed in their footsteps, being ordained in 1859. As a young boy, Venn attended Sir Roger Cholmley’s School (now called Highgate School) and then went to Islington Preparatory School. In 1853, he went to Cambridge to study mathematics. In his second year of study, he was awarded a scholarship and when he graduated, it was as the top sixth graduate, receiving a First Class degree in mathematics in 1857. Upon graduation, Venn was made a fellow which was a title he held for life. Venn’s family environment was very strict and he was always expected to join the Evangelical Church. This he did for a few years, and was ordained to be a minister of the church. However his real passion was learning and teaching mathematics, so a few years later he accepted the post of lecturer at Cambridge. Here he both studied and taught moral science, as well as logic and probability theory. He also developed other interests such as metaphysics and philosophy. Venn has several publications to his name. The most famous of his books include “The Logic of Chance” (published in 1866), “Symbolic Logic” (published in 1881) and “The Principles of Empirical Logic” (published in 1889). His books on history include “The Biographical History of Gonville and Caius College – 1349 to 1897” (published in 1897), “Caius College” (published in 1901) and “The Annals of Gonville and Caius College” (published in 1904). Venn’s main area of interest was logic, and it was in this field that he made his most important contribution. This was the introduction of Venn diagrams (that is, overlapping circles used to represent properties of sets and subsets) in his book “Symbolic Logic” in 1881. Venn was not the first person to use these diagrams, they had been used by others before him such as Gottfried Leibniz in the 17th century. Venn did, however, make important contributions and additions to it and his efforts led them to be standardized and widely used in academia and research. 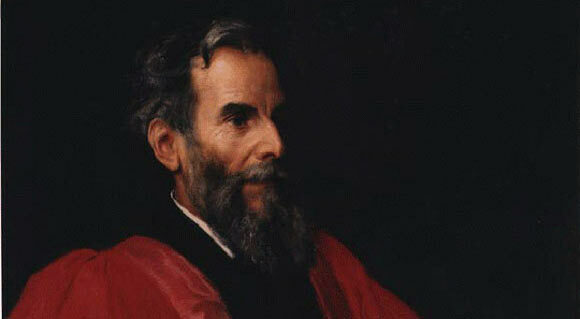 In 1883, Venn was elected as a member of the Royal Society, the same year that he received a Sc.D. by Cambridge. He also left the clergy, stating that it conflicted with his philosophical beliefs. Some of his other interests included building machines, including one that bowled cricket bowls with such accuracy that it bowled out the leading batsman of the Australian cricket team four times in a row when they came to visit Cambridge. He was married to Susanna Carnegie Edmonstone and the couple had one son, named John Archibald Venn who also became a mathematician. He died in 1823 at the age of 90. Some of his honors and memorials include a stained glass window representing Venn diagrams at Cambridge, and the “Venn building” named in his honor at the University of Hull.